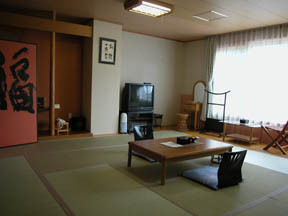 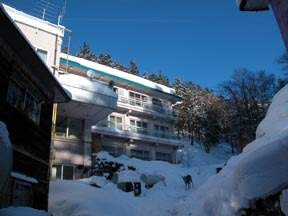 The Kanno onsen ryokan, January which an Ezo deer plays. 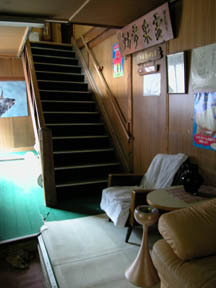 Old-wing inside of a hall. 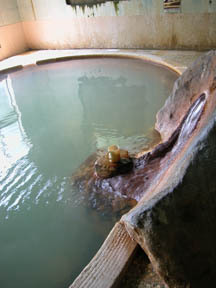 One of the hot water of 7 fortune, a Large bathroom "hot water of a Bishamon." 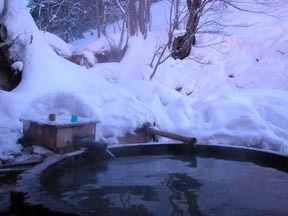 a snowy open bath -- "-- fortune -- the green hot water ".